Summit to shore adventure. Plan the ultimate Tahoe advenuture with Tahoe Elite Private Car Service. We will pick you up at your door, stow all your equipment including bikes, kayaks, paddleboards, golf clubs and more. Then we shuttle you and your crew in comfort and style from summit ride to shoreline relaxation. Take advantage of all the adventure opportunities that Lake Tahoe has to offer without having to worry about transportation. Whether it’s a kayaking along the shoreline of Lake Tahoe followed by dinner and drinks with a lakeview or a hike over one of our magnificent summits with drop-offs and pick-ups wherever you choose. Tahoe Elite Private Car Service drivers are locals who can contribute information and suggestions to your daily excursions. Length of Rental: Hire Private Car Service for a Full Day, Morning, Evening or Longer! 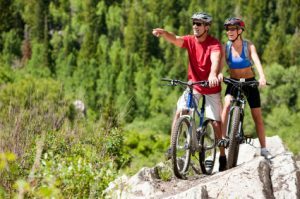 Type of Activity: Choose from a myriad of outdoor activities that Tahoe offers, from golf to biking; kayaking and paddleboarding. Number of people: We can comfortably accommodate up to 7! Destinations: Make as many or as few stops as you would like.